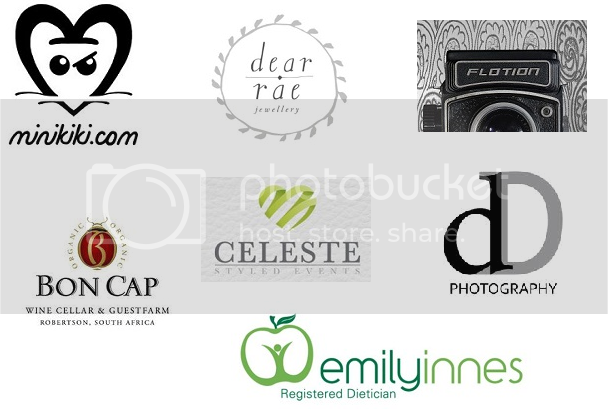 You may have noticed I have been advertising a few little businesses on Bright & Illustrious - these are people who I know who have their own little companies around the globe. I thought I would introduce them and tell you a bit more about what they do. I know Dwain through my husband - they went to school together. He is an easy going and friendly guy where nothing is too much trouble. Dwain who is based in Reading, recently started his business after his passion for photography flourished from a hobby into a passion - some of our wedding pictures are on his newly created site where you can explore Dwain's portfolio which showcases his talent. I met Celeste at Bon Cap - she was our amazingly organised and fabulous wedding planner at our venue in Roberston, Cape Town. She now runs her own business helping people to make their events into a unique experience for both host and guest. Celeste is passionate about organising, style and creativity and with her skills you are sure to pull off a fabulous event where every detail is thought of and perfected. I went to school with Kirsten and although we didn't cross paths often I always admired her talent in art and drawing and she still amazes me with her beautiful illustrations and doodles which she shares on facebook. Kirsten grew up in Cape Town and after her degree decided to venture off to Japan to teach English. As this was a big move, she has just recently got back on track with her art and I can't wait to see what exciting things she comes up with. Our stunning wedding venue where we celebrated our love♥ on the 25th September 2010. Bon Cap is an organic wine farm as well as offering accommodation and a chic bistro serving fresh homemade food which is all made on site. Robertson lies in the Breede Valley approx 2 hours from Cape Town and is a tranquil getaway with friendly and helpful staff that are willing to go that extra mile. Their wine is exported all over the world - if you fancy some of their wine (and you are based in the UK) just visit this website where I normally get Mani his yearly fix! I met Des while working at The Fleece in Witney back in 2006 - he was a regular who came in for his cup of coffee in the morning. Des is a professional cameraman and photographer, based in Witney, Oxfordshire whose friendly nature makes it so easy to work with him for your wedding, family portrait or corporate project. Be sure to pop over to his website and check out his gallery. I went to school with Emily and she is currently helping me with my eating plan since being diagnosed with PCOS. Emily is super friendly and helpful and has really encouraged me to take stock of my lifestyle and make changes so to improve not only my eating habits but my life as a whole to ensure I am looking after myself as best I can. Emily is based in Cape Town and runs her own practise as well as consulting at Tygerberg hospital where she works with HIV positive children. She really is an inspiration and I am so glad I have the opportunity to work with her. I first got to know Karin in high school when I played hockey with her. She started Dear Rae Jewellery in 2010 and has a shop in Woodstock, Cape Town where you can pop in and buy her beautiful pieces of jewellery - I cannot wait to buy some of her pieces - her rings and necklaces to the bangles, pendant and earrings are all simply designed and handmade which give her pieces a rustic feel. Perfect for everyday wear. Do you have a business or blog you want to advertise?